Coimbatore is the second largest city in Tamil Nadu. Situated on the Western Ghats region in the state it is a perfect place forParambikulam Wildlife Sanctuary – It is a perfect destination for nature buffs and travelers who live for adventure. It is a protected area of the Western Ghats and situated in the middle of Tamil Nadu and Kerala. It is home to a wide species of animals, birds, and flora including some highly vulnerable species like tigers. Activities like trekking and bamboo rafting are provided. Plus, the area is also famous for being home to 4 indigenous tribes who have been living here for 300 plus years. backpackers who like to spend their vacation watching Mother Nature at its glory. Home to picturesque landscapes that are full of natural splendor, it is a place which is still close to its culture and soil. At present, it is home to a rapidly growing economy and headquarters the Coimbatore district. It is a major industrial city just often referred as “Manchester of South India” and “the Pump City”. It has large textile, cotton, and pump industries. Two third of the country’s requirement for pumps and motors is supplied from the city. Apart from that, it is also one of the largest trading points of jewelry, poultry, wet grinders, and auto components. Explosion of commercialization has added a whole new layer of modern glamour and allures in the city tourism. Today, there is hardly any parameter of modernization that the city lacks. International food chain restaurants, large shopping hubs, multiplexes, hotels in Coimbatore, etc. today fill the place offering numerous options to the tourists to entertain and rejuvenate themselves. Siruvani Waterfalls – This one is one the most popular places to visit in Coimbatore. It is situated at a very apt location in the midst of lush green natural settings. The waterfall gets created when the dam situated there gets overflowed. Although it is small, but certainly is one of the most beautiful waterfalls in the region. 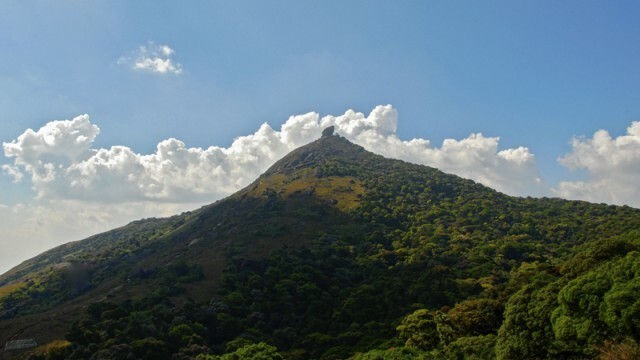 Velliangiri Mountains – These are the mystical mountains located in close vicinity to the city. Perfect for spiritual trekking and rock climbing, the mountains are known for offering stunning panoramic views of the region. There are seven hills and on the top of the mountain lies a highly revered Shiva Temple. Apart from the above mentioned, there are several other wonderful tourist attractions spread throughout the city. Additionally, due to its strategic location, which is close to many hill stations of south India there is a continuous flow of tourists. Ooty is one popular destination that tourist in Coimbatore often visit. There is a good frequency of buses to Ooty with the Coimbatore to Ooty bus fare being very affordable. Coimbatore is a historic city and down the decades it became part of multiple kingdoms and empires. The significant ones include: Sangam Chera, Cholas, illustrious Vijayanagara, and the British. The city simply has a plethora of tourist attractions and exploring them is an overwhelming experience. Following are some of the prime attractions that you simply cannot miss on your tour of the city. Marudamalai Temple – Situated just a few kilometers away is a beautiful and highly revered Hindu temple called Marudamalai Temple. It is named after the hill where it is situated and is a temple of Lord Murugan or Lord Kartikeya. Apart from being highly spiritual, it is also noted for its architecture. The Gopuram or the temple dome is highly popular as it is configured nicely with numerous sculptures and detailed carvings. Dimpy Roy is a travel writer working with an Online Travel Guide. She guides travelers about hotels in Coimbatore and choose the best one.